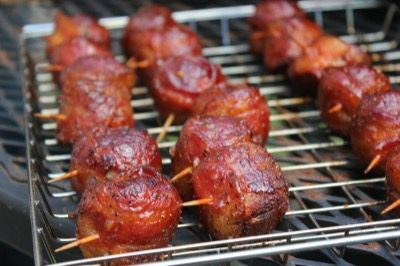 Bacon Wrapped Meatballs have been around for at least 40 years and possibly longer than that but were named “MOINK balls” and made popular in 2008 by a man named Larry Gaian. 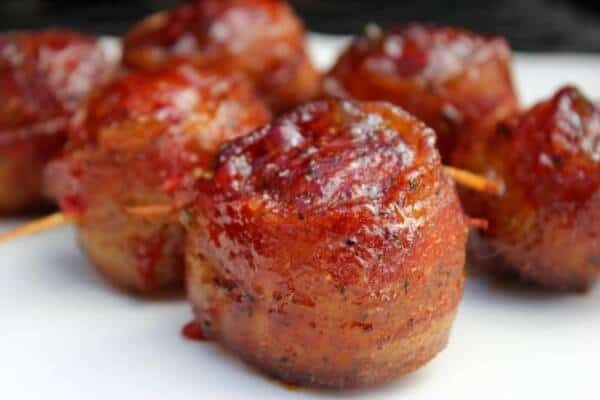 The “MOINK” name is quite significant in that they are made from beef meatballs and half slices of thin pork bacon. Together you have moo + oink or moink balls. 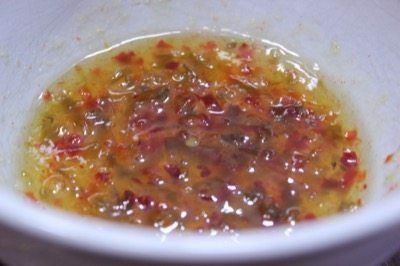 If you have tried them, then you know they are simply delicious and if you haven't, well, then you are in for a wonderful surprise. 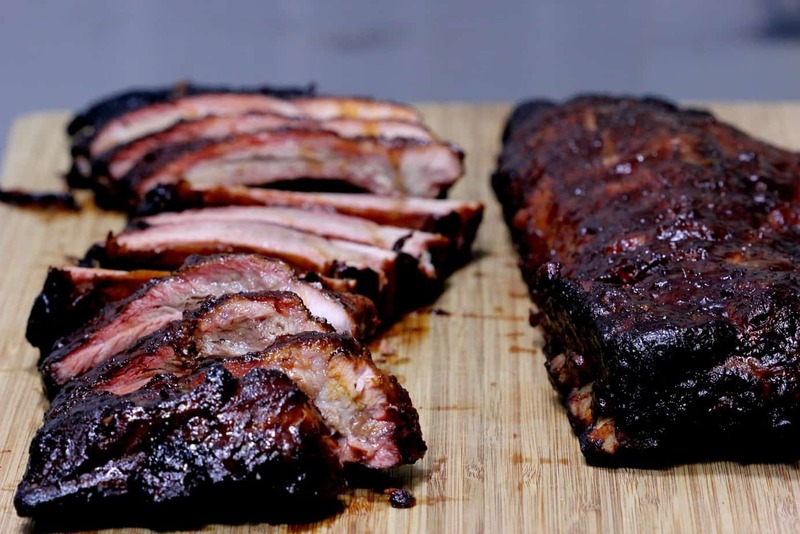 These are seasoned with my original rub recipe (purchase recipes here) and glazed at the end of the cook. 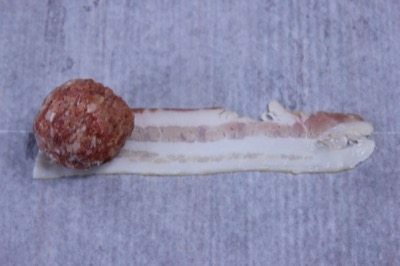 ½ slice of bacon per meatball. 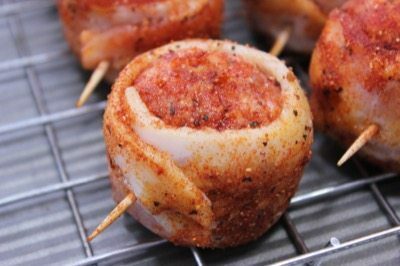 1 lb of thin or original sliced bacon will usually do about 2 dozen meatballs. 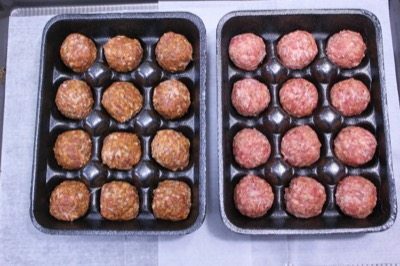 The meatballs used in true MOINK balls are frozen and purchased from the grocery store in the freezer section. The ones I used were from a local store that I frequent but freshly made and not frozen. You can, of course, make these yourself if you like and go from there. Mine were Italian style meatballs with half of them being labeled as “hot” and they had a pretty good kick to them. If the meatballs are frozen, you can place them in the fridge for a few hours or longer to let them thaw. 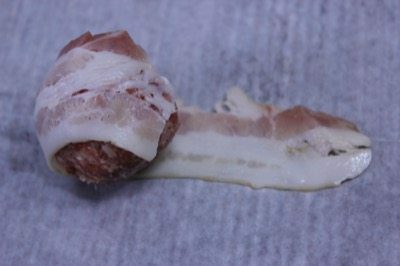 Anytime you are wrapping something with bacon, the idea is to hopefully get it crisp. The best way to ensure this happens it to purchase the thinnest bacon you can find. 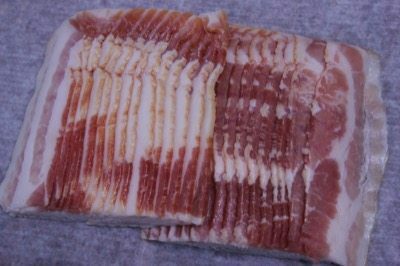 I can't find bacon labeled as “thin cut” locally but if you count strips per pound, it gives you a pretty good idea of which ones are the thinnest. I look for 1 lb packages that have at least 13 strips or more. the more the better. The bacon will be cut in half so 13 strips will make 26 moink balls. 14 strips will make 28.. you get the point. Tip: Bacon cuts much easier when it is cold. For best results, remove the bacon from the fridge and cut the entire package of bacon in half rather than removing it from the package first. This is something I usually do by holding the meatball in my left hand and wrapping the bacon around with my right hand. For the sake of taking pictures, I laid the bacon on the cutting board. 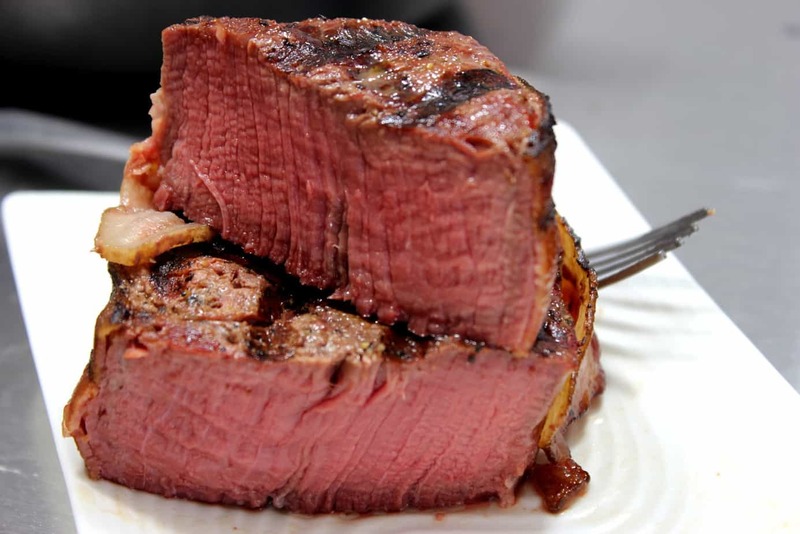 ½ strip is perfect for most meatballs with enough to overlap and poke a toothpick through. 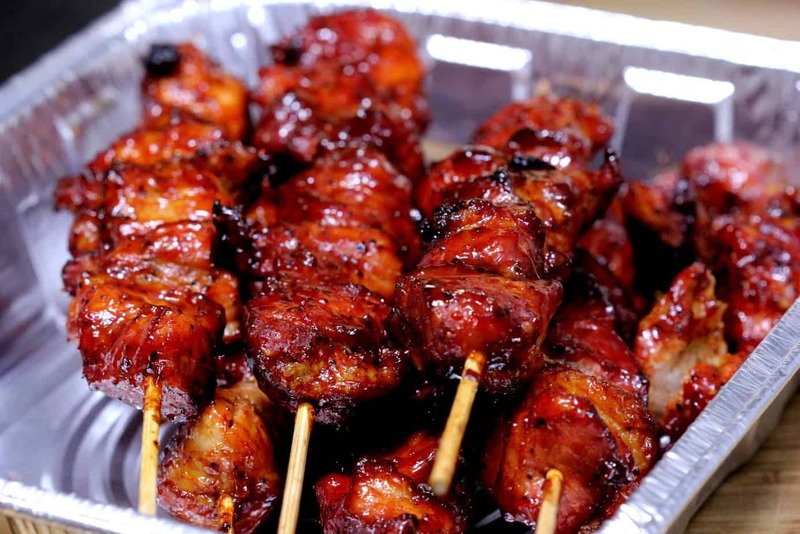 You don't have to use toothpicks but it does ensure that the bacon will remain intact. 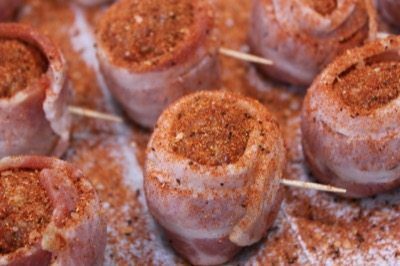 I've had moink balls with rub and without rub and.. just take my word for it and use your favorite low-salt barbecue rub.. they are so much better that way. 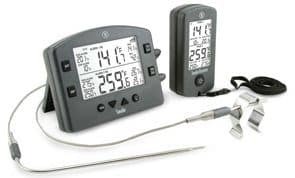 Set up your smoker for cooking at 225-240°F (higher is better with these) with indirect heat using hickory and/or pecan if you have it. 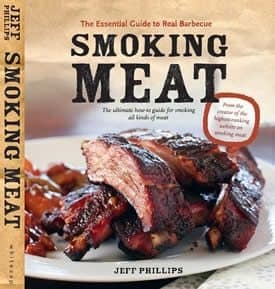 If not, most any good smoking wood will work just fine. Pellet smoking is an ALL WOOD method of smoking.. like a big stick burner, the heat comes from burning real wood and the smoke is just something that naturally happens when you burn wood. 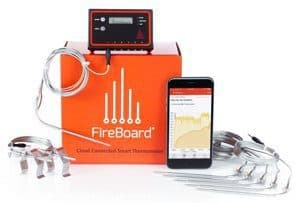 There is nothing more “real” than using real wood to cook and smoke your food. Did I mention that the fire pot where the pellets burn is made from stainless steel.. it will probably outlast me! 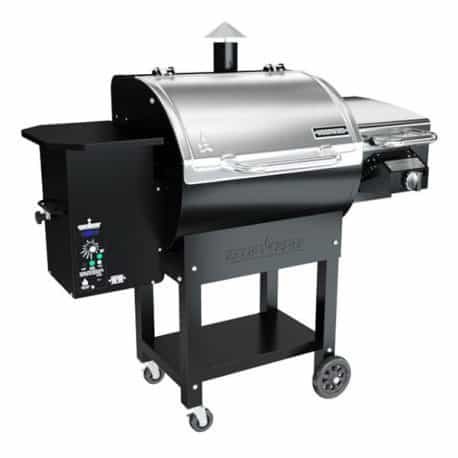 If you really want to know how I feel about the Woodwind pellet grill.. if my worst nightmare came true and I had to get rid of all of my smokers (I have a lot of them) and only keep one, I am fairly certain I would choose to keep the Woodwind due to it's versatility. Back to Setting Up the Smoker.. 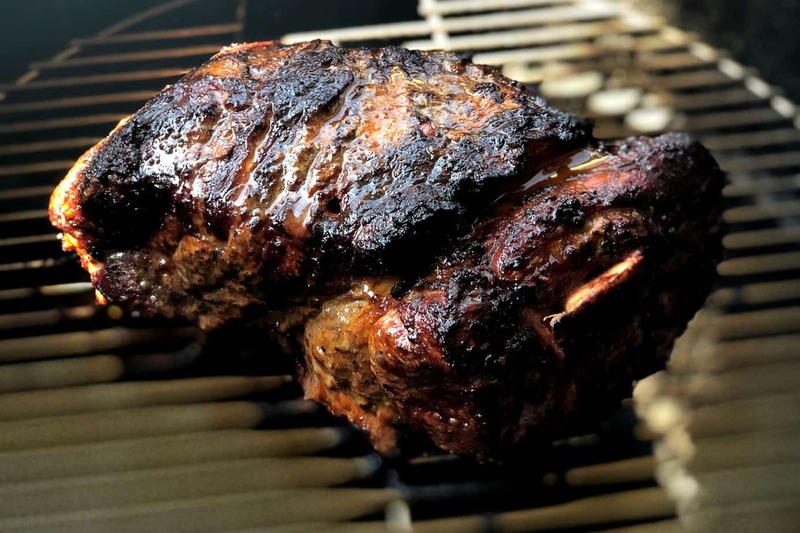 I like to place the moink balls on a Bradley rack or a Weber grill pan but an ordinary cooling rack will also work just fine. 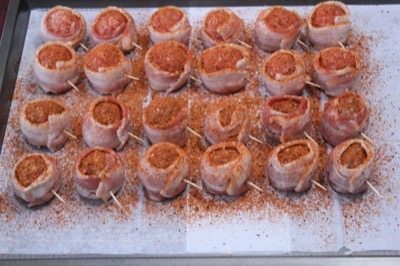 Set the rack of moink balls on the smoker grate and let the smoking commence for about 2 hours or until the center of the meatballs reach 160°F and the bacon firms up. 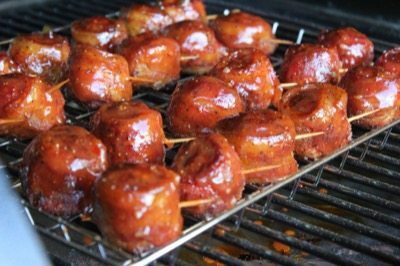 When the moink balls are finished cooking and just before removing them from the smoker grate, I recommend you glaze them with my barbecue sauce (purchase recipes here) or perhaps some melted down hot pepper jelly which makes a mean glaze for almost anything. 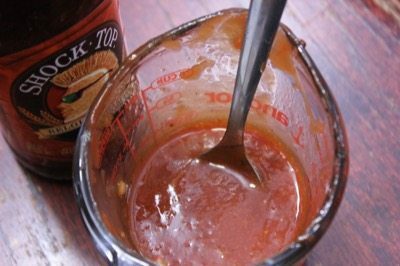 I like for the barbecue sauce to be a little on the thinner side so I mixed about ¼ cup of beer into ½ cup of my original barbecue sauce (purchase recipes here) and stirred it real good to combine. You can make it more or less thin if you like by changing up the amount of beer that you add. 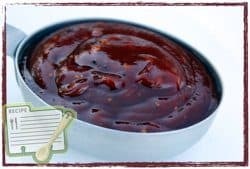 And, of course, you can use almost anything to thin the barbecue sauce including, but certainly not limited to, water, juice, maple syrup, wine, melted butter, etc.. 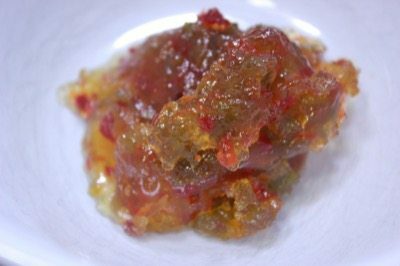 If you want to use the hot pepper jelly, put several heaping TBS of jelly in a microwave safe bowl and give it a whirl or two in the microwave or until the jelly gets liquid enough to brush onto the meatballs. You can also do this on the stovetop over medium heat, stirring occasionally. 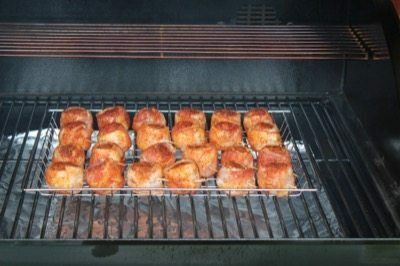 Let the moink balls remain on the smoker grate for about 10 minutes to set the glaze before removing them. 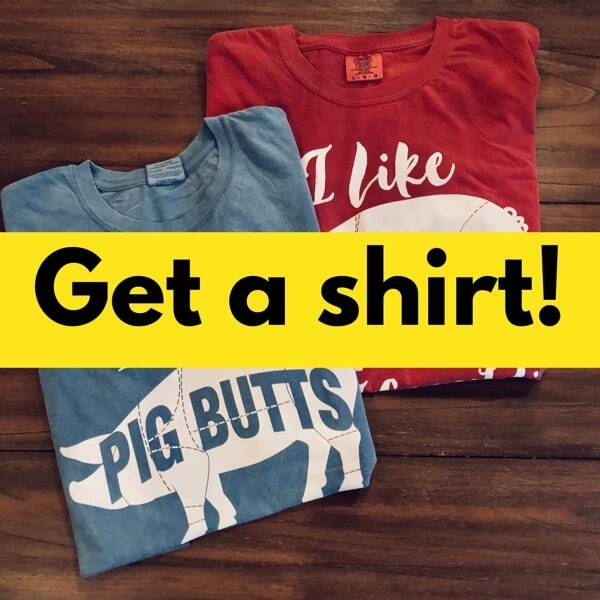 I hope you made plenty 'cause these are gonna go fast! 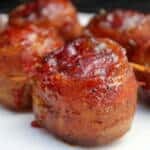 Bacon Wrapped Meatballs have been around for at least 40 years and possibly longer than that but were named "MOINK balls" and made widely popular in or around 2008 by a man named Larry Gaian. The name is quite significant in that they are made from beef meatballs and half slices of thin pork bacon. Together you have moo + oink or moink balls. 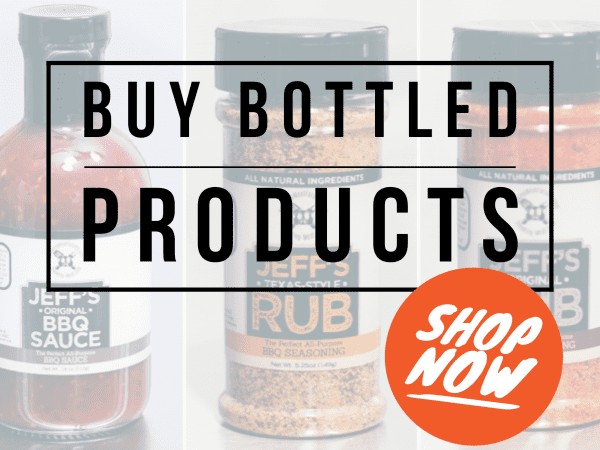 If you have tried them, then you know they are simply delicious and if you haven't, well, then you are in for a wonderful surprise. If meatballs are frozen, place them in the fridge for a few hours or up to a day to thaw. 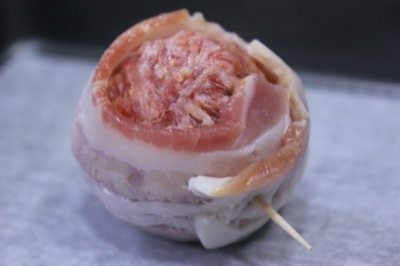 Wrap half pieces of bacon around each meatball and secure with a toothpick. Place the meatballs on a Bradley rack, Weber grill pan or a cooling rack to make them easy to carry to and from the smoker. 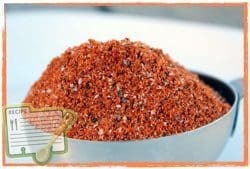 Season on all sides with a low salt barbecue rub such as my original rub recipe. 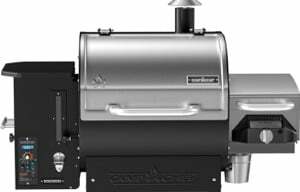 Set up your smoker for cooking at about 240°F using indirect heat and hickory or pecan for smoke. 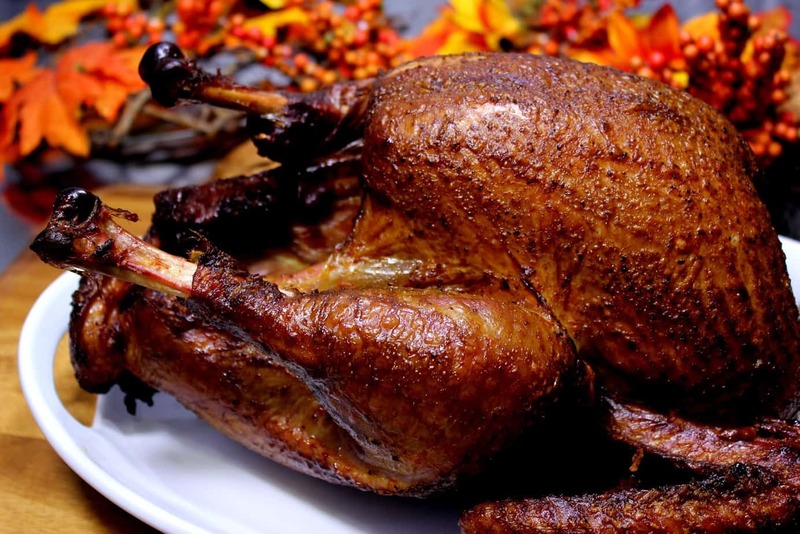 If your smoker has a water pan, fill it up with hot water. 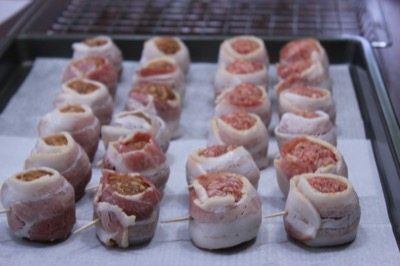 When the smoker is ready to go place the wrapped meatballs on the smoker grate and let them cook for 2 hours or until they reach an internal temperature of 160 and the bacon is firm. When the meatballs are finished or nearly finished cooking, glaze the outside of the meatballs with barbecue sauce thinned with beer, juice, melted butter, etc. Let the glaze set for about 10 minutes then bring them in and serve right away. How big do the meatballs have to be so they cook at the same time as the bacon?? Can you use pre-cooked meatball or must the meat be raw? The meatballs really need to be raw. 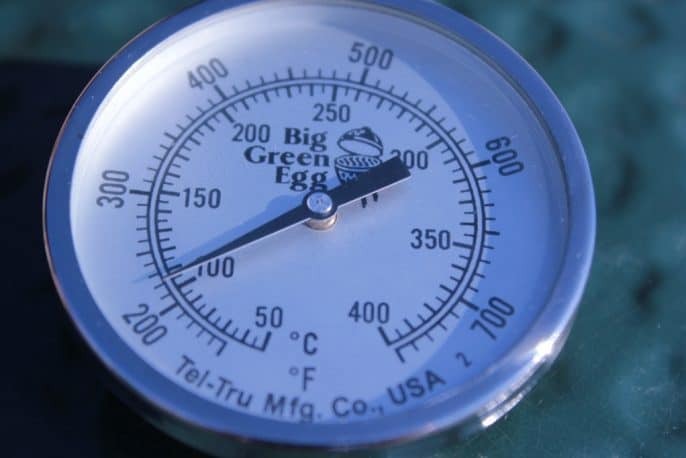 They will take about 2 hours to reach 160°F and the bacon needs this time to get firm. 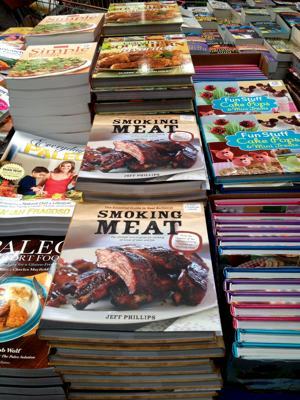 If the meatballs are already cooked, they will be overcooked by the time the bacon gets done.